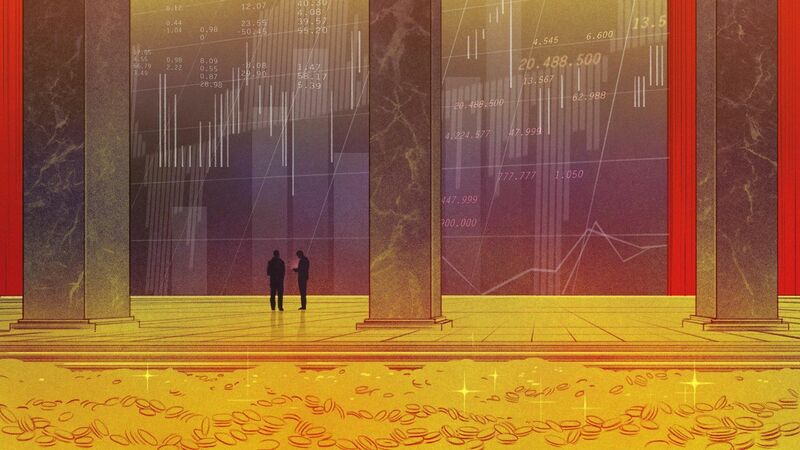 In an industry where power and influence are measured in dollars and cents, this may be the most exclusive club in finance: The price of admission is at least $25 million. It has no name and no board of directors but has a roster drawn from the world’s wealthiest and most successful traders. Members essentially become their own one-person firms, even firms within firms, by gaining a seal of approval to deal in the complex products typically reserved for institutions that manage hundreds of billions of dollars. And all without drawing the attention of Wall Street’s everyday millionaires. Their ranks are getting more selective. While no one keeps count, people in the industry guesstimate that the total peaked at no more than 3,000 a decade ago and has shrunk considerably since the financial crisis. Months of interviews have yielded the identities of just 12 individuals who held the prize: an ISDA master agreement. They have included hedge fund titans Chris Rokos and Michael Platt, as well as whales at Deutsche Bank AG and Goldman Sachs Group Inc., which became clients of their own employers. In the $542-trillion market for over-the-counter derivatives, ISDA agreements set out the trading terms between two parties. In the vernacular of Adam McKay’s adaptation of Michael Lewis’s The Big Short, they represent “a hunting license” that lets an investor sit at the “big boy table and make high-level trades not available to stupid amateurs.” The firms that hand them out gain access to the most desirable customers possible. People such as Rokos, 47, who has a net worth of $1.2 billion, according to the Bloomberg Billionaires Index. The British co-founder of Brevan Howard Asset Management, who now runs his own hedge fund, was personally the counterparty on ISDA agreements in 2013 when he set up a family office. That meant Rokos himself was on the hook if the trades went against him. Platt, 49, who runs BlueCrest Capital Management, also previously had a personal ISDA agreement, said people familiar with the matter. Platt’s net worth is estimated at $2.9 billion by the Bloomberg Billionaires Index. Rokos declined to comment for this article, while Platt did not respond to multiple emails seeking comment.